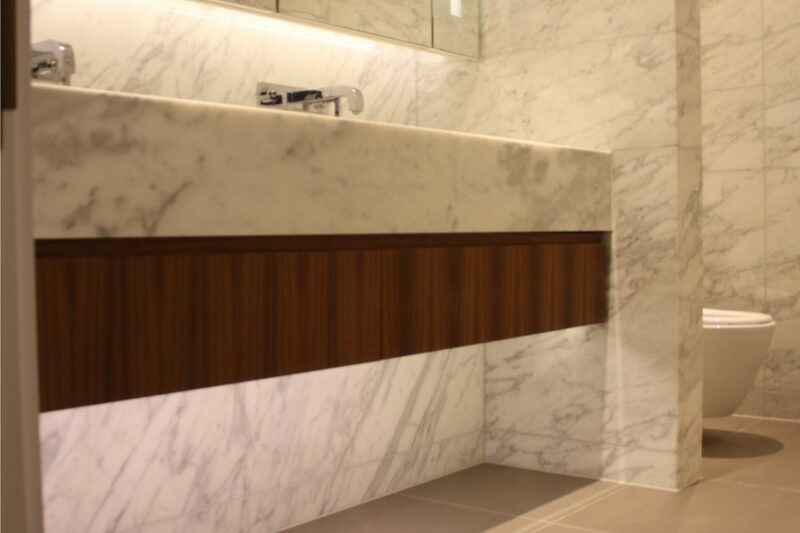 Beautiful natural materials for an elite set of penthouse apartments in St James Street. 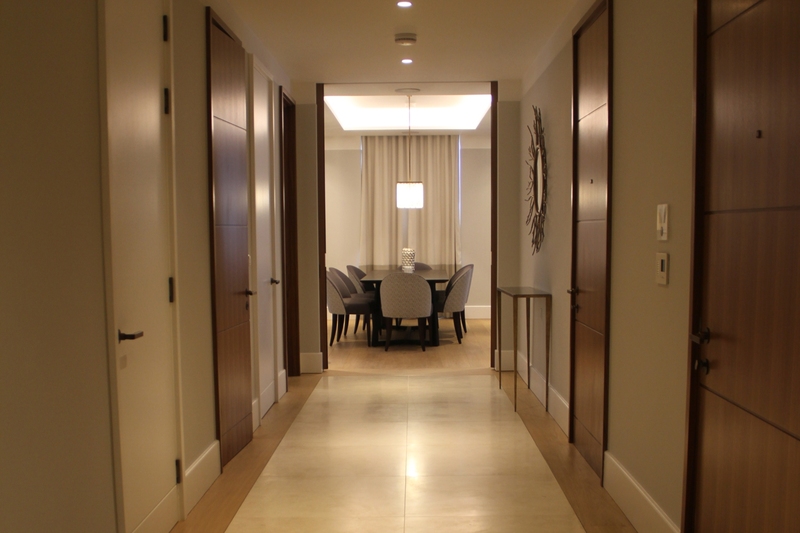 Classic Crema Marfil framed with a beautiful wood surround border. 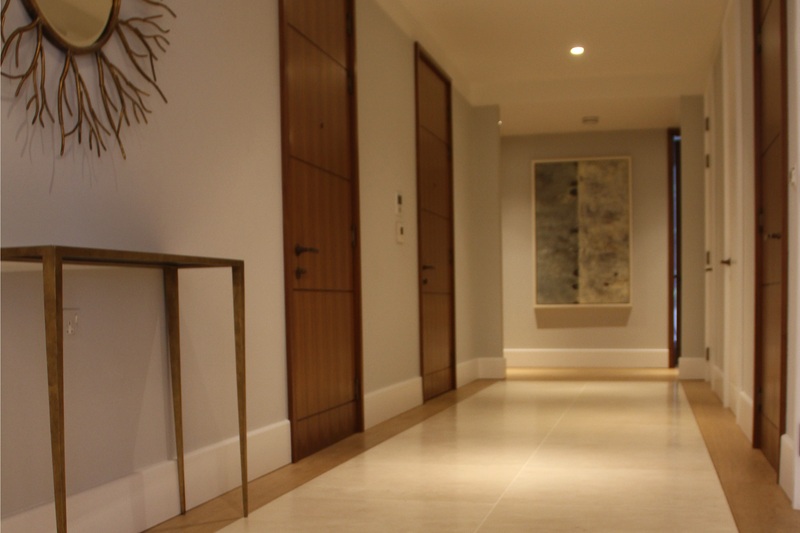 Crema Marfil fireplaces with a contemporary design. 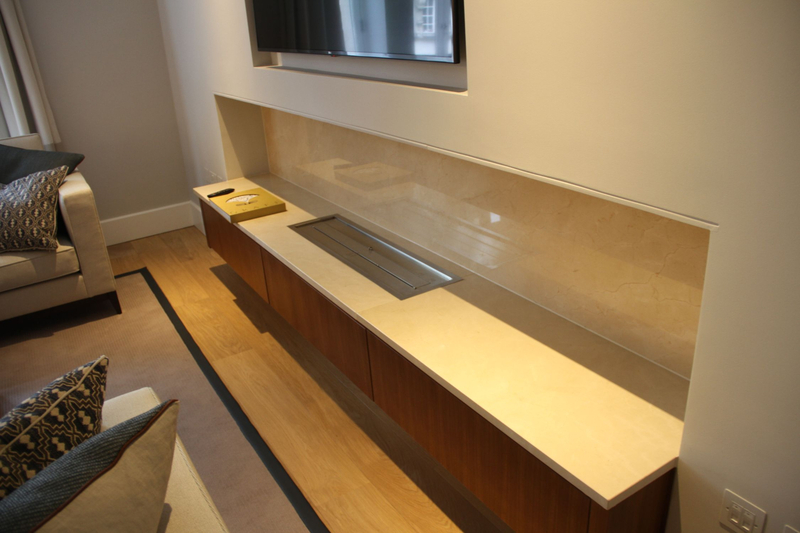 Stone top and porcelain upstand to withstand heat. 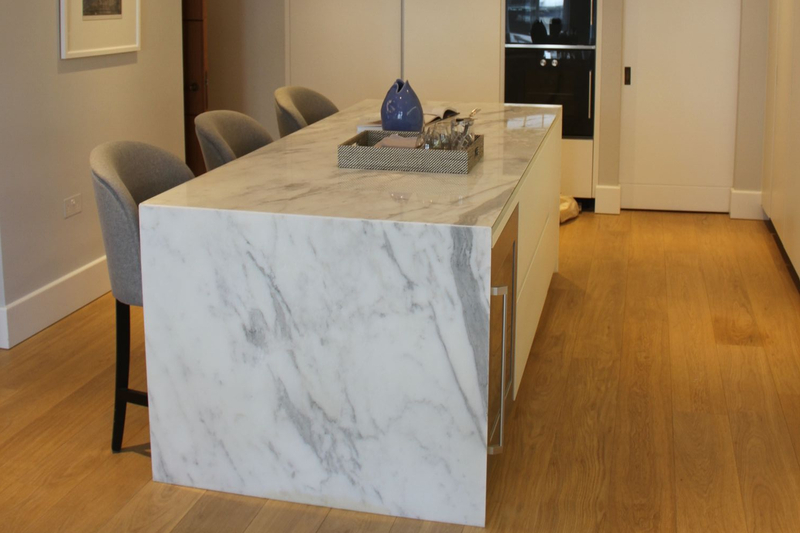 Natural marble, Calacatta work tops brings a beautiful luxury feel to the kitchen area. 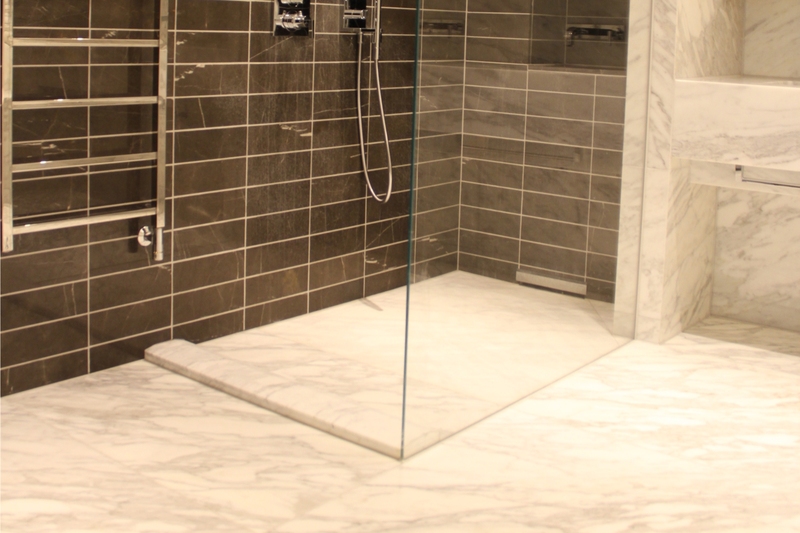 Combination of luxury marbles creating a stunning bathroom space. 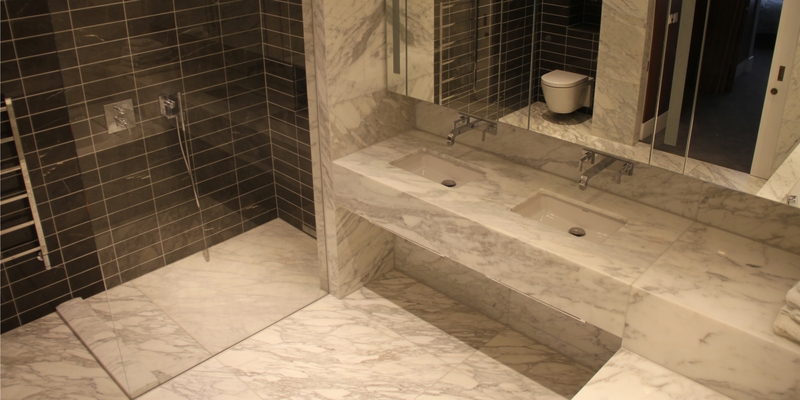 Porcelain floors with the natural marble walls and vanity.